Leviticus 18:21 ESV You shall not give any of your children to offer them to Molech, and so profane the name of your God: I am the LORD. An abusive person is a person whose life goal is about power and control over others. He or she have the conviction that they are entitled to that control, and are justified in maintaining it through various means – abusive means. While we all have abused others, not all are abusers. Abuse is rooted in a mentality – a mindset – that sees others as objects possessed, and who exist for the abuser’s self-glory. Such a mentality is, of course, absolutely contradictory to the mind of Christ. Philippians 2:1-4 ESV So if there is any encouragement in Christ, any comfort from love, any participation in the Spirit, any affection and sympathy, (2) complete my joy by being of the same mind, having the same love, being in full accord and of one mind. (3) Do nothing from rivalry or conceit, but in humility count others more significant than yourselves. (4) Let each of you look not only to his own interests, but also to the interests of others. Deuteronomy 6:4-7 ESV Hear, O Israel: The LORD our God, the LORD is one. (5) You shall love the LORD your God with all your heart and with all your soul and with all your might. (6) And these words that I command you today shall be on your heart. (7) You shall teach them diligently to your children, and shall talk of them when you sit in your house, and when you walk by the way, and when you lie down, and when you rise. Let’s look at some more of the damaging effects the abusive man has upon children. 3 John 1:5-10 ESV Beloved, it is a faithful thing you do in all your efforts for these brothers, strangers as they are, (6) who testified to your love before the church. You will do well to send them on their journey in a manner worthy of God. (7) For they have gone out for the sake of the name, accepting nothing from the Gentiles. (8) Therefore we ought to support people like these, that we may be fellow workers for the truth. (9) I have written something to the church, but Diotrephes, who likes to put himself first, does not acknowledge our authority. (10) So if I come, I will bring up what he is doing, talking wicked nonsense against us. And not content with that, he refuses to welcome the brothers, and also stops those who want to and puts them out of the church. The children of the abusive man can often end up suffering isolation as a result of their mother’s isolation. When an abusive man impedes his partner’s social connections, his goal is to make her dependent on him and always available to him. He wants her to always be focusing on meeting HIS needs, free from any distractions – such as having her own life – that might get in the way. And on some level he’s afraid that if she has close and healthy contacts with other people, she will find the strength to get free from his bullying and demands…The victim’s children can miss important life experiences. They may not get to have a broad range of people in their lives, they may miss out on chances to have fun, to get exposed to stimulating ideas, or to feel part of their community. The victim and her children can get on each other’s nerves if they feel cooped up in the house together, and may start to take their frustrations out on one another, since they have no way of understanding that the abuser is the cause of the restrictions they live with. There are many ways that an abuser can isolate his victims. Financially, threats, accusations of infidelity, lying about others, lying about the victim to others, living in an isolated area, denial of available transportation, etc. All have the common denominator of power and control. We know that there are many people that we are to guard our children against. “Come out from among them and be separate, says the Lord” – “Bad company corrupts good morals” – and so forth. A wise, Godly husband will discern if someone is a bad influence upon himself, upon his wife and upon his children. He will speak to them about his reasons for concluding this, and in most such situations at least the husband and wife will be in agreement with the decision to avoid such people. But this is not the scenario in the abuser’s home. His goal is to isolate his victims from most everyone. And he does not enter into reasoned, respectful, mutual discussions with his wife about it. He simply commands or threatens and demands that she obey him. In the former case, the result is healthy and nourishing; in the latter it is destructive. Fathers, do not provoke your children to anger. Children in the abuser’s home will frequently suffer from isolation. Many times, such children are not so much children who are simply in need of a “good whuppin’” but rather are the product of living in an abusive environment. Life is not going to go well for those boys. UNLESS – perhaps, a church like this one can come to understand this wickedness of abuse, grow wise to its existence and tactics, and provide help to its victims. Children like these are being sacrificed in the fires of Molech. Let’s look more fully at another effect of abuse upon children that we have already mentioned – guilt. It is so damaging that it is worth looking at it in more detail. David had a recourse – he came to repentance and cried out to the Lord, acknowledging his sin, and then he experienced forgiveness and relief. But children living in an abusive environment know nothing of this recourse. In addition, their guilt that crushes and consumes their very soul is based upon the lie that the abuser brings to them. Namely, that THEY ARE TO BLAME. Fathers, do not provoke your children to wrath. WHAT IS GOING THROUGH THE MINDS OF THESE CHILDREN AT THIS POINT? What is the result of all of this. It is a type of sacrificing of the children to Baal. It is handing them over to anger and guilt, and it is to make them easy targets for Satan’s further attacks. Did you hear that? Mark it down well! CHILDREN’S MINDS DON’T GRASP CAUSE AND EFFECT CLEARLY, ESPECIALLY WITH RESPECT TO TRAUMATIC EXPERIENCES. Do you understand this? Do you grasp the ramifications of it? This means, moms, dads, adults – that we are very wrong when we simplistically assume that children understand things like we do. We can understand (though even adults can have great struggles in these areas as well), we can more readily understand THIS WAS NOT MY FAULT! Children often cannot, depending upon their mental and emotional level of maturity. Fathers and mothers can provoke their children to wrath by functioning as if their children are capable of understanding such things. And, of course if Mom is a Christian, she can pray with the children. Some children react to their guilt by becoming exaggeratedly perfect, hoping in that way to prove that they aren’t bad, and trying to avoid any misbehavior that could lead Dad to hurt Mom. (How many girls with eating disorders might come from abusive homes?) In a recent case where I (Bancroft) was the custody evaluator, the father in the family was an emotional abuser who insulted, demeaned, and minutely controlled family members, to the point of requiring them to cook food in water that had already been used, timing them in the shower, and forbidding them to lock their doors when changing clothes. [NOTE: The whole matter of boundary violations such as denying privacy to his victims is a very common tactic of the abusive man. Our homes should be characterized by a proper decorum of modesty]. School personnel told me that the older daughter, Gina, was an outstanding student who got along well with everybody and helped other students resolve their conflicts. She was accepted into a prestigious New England college. Looking at the surface [beware of appearances!! ], Gina’s mother might believe that she had not been affected by the abuse (it was an abusive home), unlike her younger sister, who was suicidal. But when I called Gina at her college dorm, she eloquently poured out to me (for 2 hours) the pain her father’s dictatorial oppression had cause her. She cried repeatedly and told me that she was seeing the college counseling staff to help her cope. Now, because this load of guilt that children bear is FALSE, they FEEL it, it weighs them down and crushes their spirit – BUT THEY ARE NEVER ABLE TO FIND OUT WHAT THEY DID OR ARE DOING WRONG TO CAUSE THE ABUSE. Why? Because they are not causing it! But they think that they are! This is one of the common signs of abuse – the victims are always searching, searching, searching for an explanation – but the truth of their situation eludes them. Why? Because the abuser is such a masterful deceiver. He is skilled at making them believe that they are the problem. Revelation 12:10 ESV And I heard a loud voice in heaven, saying, “Now the salvation and the power and the kingdom of our God and the authority of his Christ have come, for the accuser of our brothers has been thrown down, who accuses them day and night before our God. In Betsy McAlister Grove’s book Children Who See Too Much, she tells about a group of 5 year olds at a preschool who witnessed a bloody attack out the window of their bus on the way home one day. The next morning when the children arrived back at school, their teachers waited nervously to see how the children would react to the event and what kinds of questions they would ask. But to their amazement, not a single child said a word about the assault, and they all went about their usual business. This conflict of being profoundly affected, even traumatized, by witnessing abuse, and yet not having the feeling that it is alright to talk about it, can be devastating to a child (and to the adult victim as well). CHURCHES CAN OFTEN BE GUILTY OF CREATING WHICH SEEMS TO FORBID VICTIMS FROM ASKING FOR HELP. GENERALLY, CHRISTIANS DO NOT WANT TO SPEAK OR HEAR ABOUT THIS TOPIC OF ABUSE. Even the military has come to learn that soldiers, having been traumatized by the horrors of war, must feel free to speak about what they have experienced. The consequences of suffering PTSD and yet not being able to speak of it or obtain help in understanding what such things can do to a person, are profound. If the grown-ups aren’t saying anything about what happened, that means we aren’t supposed to talk about it. YOUR CHILDREN MAY FORM THIS SAME BELIEF IF HOURS OR DAYS HAVE PASSED SINCE THEY SAW DAD DEMEAN YOU OR HIT YOU AND NO ONE HAS MENTIONED IT. They think, ‘Mom and Dad are acting like nothing happened, so that must be what they want us to do too. NOTE: You may not live in an abusive home – but you might unintentionally be creating a non- communicative home in which the scary events of this world are experienced, but no one talks about them. I recall the day John F. Kennedy was assassinated (I was in the 7th grade). We were all glued to the TV, watching the events unfold. The shooting itself in Dallas. The arrest of Oswald and his subsequent murder. The President’s funeral and burial. The blood-stained dress of his wife. And yet, at least in our home, there was not a sense that these things could be spoken of between us kids and our parents. Let alone any discussion of how all these things were making us feel. The grown-ups can’t handle our feelings about the scary event – it’s too much for them. Children are aware that adults have their own frailties and they may think that certain subjects are too upsetting for us. Your children may drop hints about their concerns rather than raising them directly, as a way of probing to see if you can deal with their feelings. If your son says to you, ‘Did Daddy scare you last night?’ and you respond with, ‘Oh, don’t be silly, he was just a little angry, that’s all,’ the boy is going to conclude that he’s entering an area that is too sensitive, and he knows to stay away from the topic. On the other hand, if you respond instead by asking, ‘What did you see Daddy do that looked scary? How did that make you feel?” you show that you aren’t afraid to address his feelings‘Talking about it won’t help.’ Children may have received messages from adults or from other children that it’s best to avoid unpleasant subjects. You may need to give your children explicit invitation to talk about traumatic issues to open the door. If you let them know it’s ok to talk, they often will choose to do so. Isaiah 30:9-11 ESV For they are a rebellious people, lying children, children unwilling to hear the instruction of the LORD; (10) who say to the seers, “Do not see,” and to the prophets, “Do not prophesy to us what is right; speak to us smooth things, prophesy illusions, (11) leave the way, turn aside from the path, let us hear no more about the Holy One of Israel. Well, there are still more serious effects of abuse upon children. There are serious and damaging behavioral and emotional effects – and we should probably take the time to learn more about them. THEY ARE ALL EXAMPLES OF FATHERS (SOMETIMES MOTHERS) PROVOKING THEIR CHILDREN TO ANGER. Uncertainty about reality and whether their own observations can be trusted. 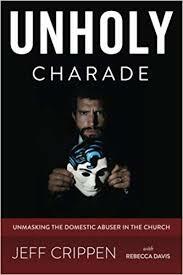 As Christians, we possess THE single most powerful antidote to abuse and its evil effects upon its victims. The antidote is the Gospel of Jesus Christ! We have His Word of truth. We know with certainty that a Father who loves His children is working all things together for their good. We know that the frightening events in this world are in His perfect control. We know that there is such a thing as evil and that one day it will be gone forever. We know that the evil one has been already conquered by Christ. We know all these things and more, and we can open up this Book and show our children, and the victims of abuse, that there is Someone who is the real answer to everything they face.